Libreria Sayulita (the Sayulita Bookstore) is definitely one of the chillest places in Sayulita where locals and visitors alike, can enjoy a relaxed atmosphere, kind people, and host of literary offerings for your reading pleasure. Come pop by and pick up a good 'read' for the beach. Situated in-between the beach and the main road into town, Libreria Sayulita is located just around the corner from Macondo restaurant, up the street from Hotel Diamonte. New/Used Books: 1000s of books to select from, come and browse our large selection and feel free to bring in your own used books for credit towards other used books. Coffee: Our coffee is a treat that will keep you coming back for more. Julia and family grow, cultivate, and harvest these coffee beans and then with her knowledge based on years of experience clean, dry and roast them to perfection. We sell it by the cup and by the pound. Enjoy! Internet and Wireless: Surf the Net on our computers or bring in your own laptop. Spanish Classes: The best language classes in Nayarit. Come by and ask for more details! Artwork: Browse through a great selection of local artwork and handicrafts. If you have never seen encaustic art come check it out. Stop by and check us out. There is always something new and fresh happening here at the Sayulita Bookstore. We look forward to showing you around. Looking for accommodation? 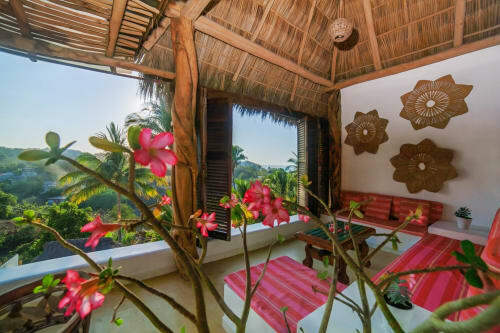 Sayulita's Libreria now offers lofts above the Libreria, Sayulita's bookstore. For more information on these spacious, comfortable lofts visit the Bookstore Lofts. We also have a two bedroom apartment onsite that can be found here. Wonderful spot, close to the beach and within walking distance to the rest of town. Nancy and Ed were so helpful with information about the town. Lovely man from Edmonton with a huge selection of books and great coffee! We have a bunch of readers in my family and as such, are always thrilled to find a used book store nearby! This used bookstore/art shop/coffee shop was a great little find. Wonderful selection of books and awesome cappuccino's. The gentleman there also has a buy-back program where you get a portion of your next purchase discounted if you return books you bought there your previous visit. Enjoyed my stay thoroughly. Both Nancy and Ed were most helpful with information about the town and things to do. Our accommodations were great and self contained. Nice selection of books, they'll buy them back if you finish the book, so I treated it as a lending library. Very, very good Espresso too. 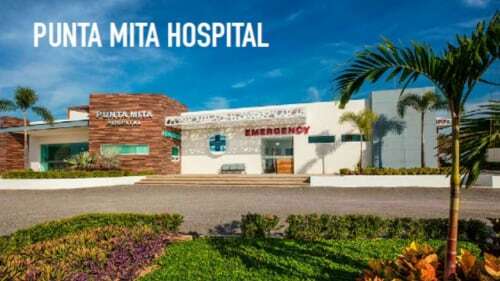 Convent and Affordable Location , best value in Saylulita! Ed and Nancy were a joy to stay with! They are both personable and kind. 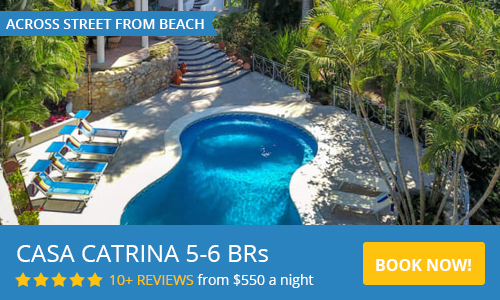 The lofts are very reasonably priced for Sayulita with amazing high pressured showers and the beds are so very comfortable. An added bonus is the BEST organic coffee you will ever have is included in your stay. Every morning Ed made us beautiful americans and iced coffees (which I still dream about). I highly recommend staying at the bookstore lofts..the location cannot be beat. Only a couple minute walk to the beach or bus-stops. Close to all the amenities but far enough away from all the noise. First destination of the day! My husband and I will never forget Ed, Nancy and their lovely book store. Not only were the coffe and homemade vegan brownies excellent, Ed is full of knowledge about Sayulita life (learned quite a bit from our brief chats!). We are forever grateful for the reading material we picked up for our trip, the invaluable information, and the beautiful piece of art we picked up - hand crafted by the man himself. The only place in town with the best conversations, coffee and wifi connection! Hope to bump into you down the road!! Cool, casual hangout, with great coffee and friendly service. Great place to pick up a beach book! Best coffee in town. Great cappuccinos, friendly people, nice place to sit for a while. Great Coffee and Super Friendly! I went here on most mornings during my stay in Sayulita. While I did not need any books, I loved the coffee. It was organic and fresh. And the barista was super friendly. There are plenty of cool titles if you look a little deeper. There is also come cool crafts. Hours are flexible during the week. Closed during Sunday!